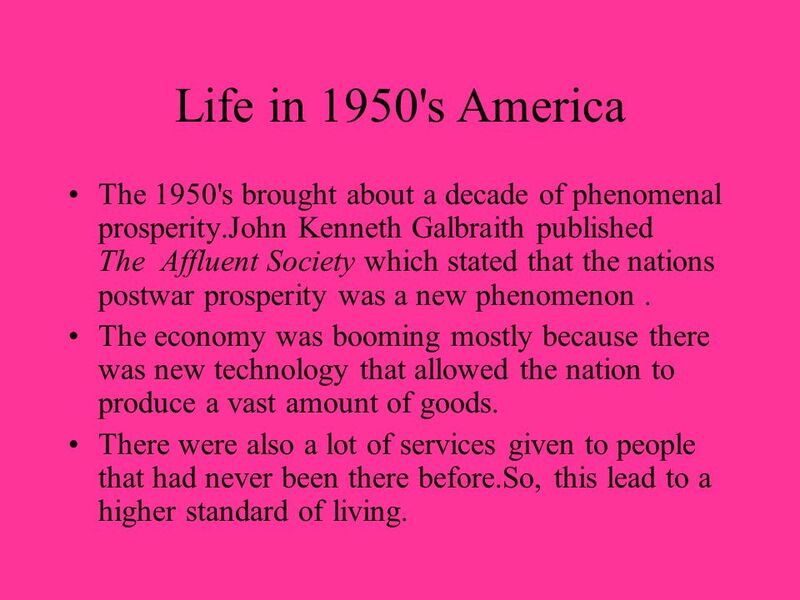 2 Life in 1950's America The 1950's brought about a decade of phenomenal prosperity.John Kenneth Galbraith published The Affluent Society which stated that the nations postwar prosperity was a new phenomenon . 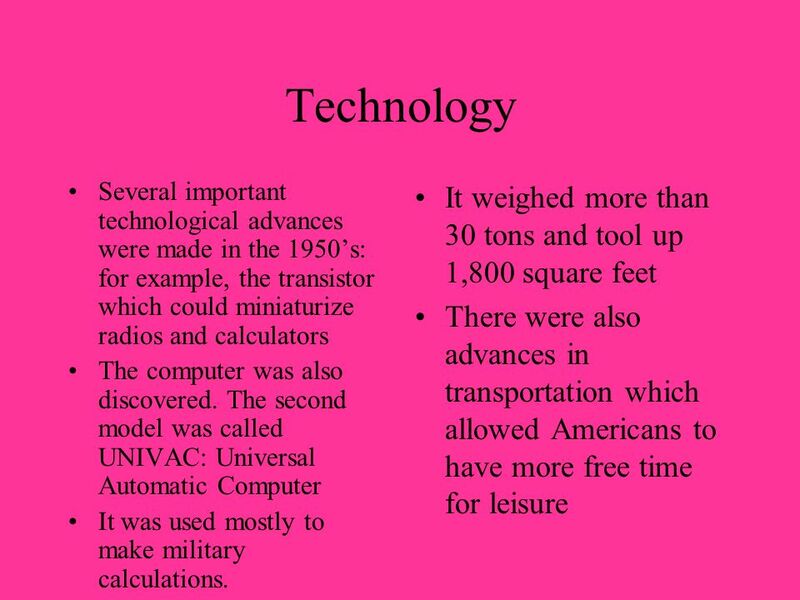 The economy was booming mostly because there was new technology that allowed the nation to produce a vast amount of goods. There were also a lot of services given to people that had never been there before.So, this lead to a higher standard of living. 3 The G.I. Bill he G.I. 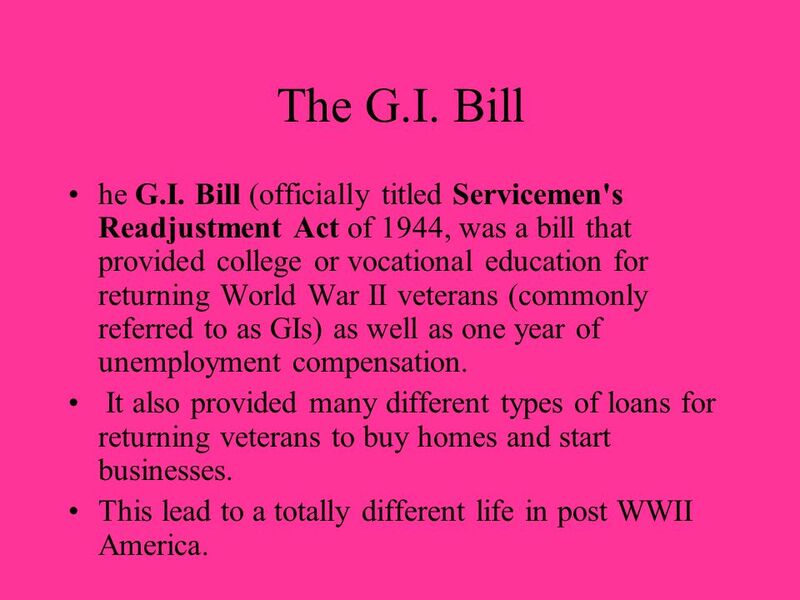 Bill (officially titled Servicemen's Readjustment Act of 1944, was a bill that provided college or vocational education for returning World War II veterans (commonly referred to as GIs) as well as one year of unemployment compensation. It also provided many different types of loans for returning veterans to buy homes and start businesses. This lead to a totally different life in post WWII America. 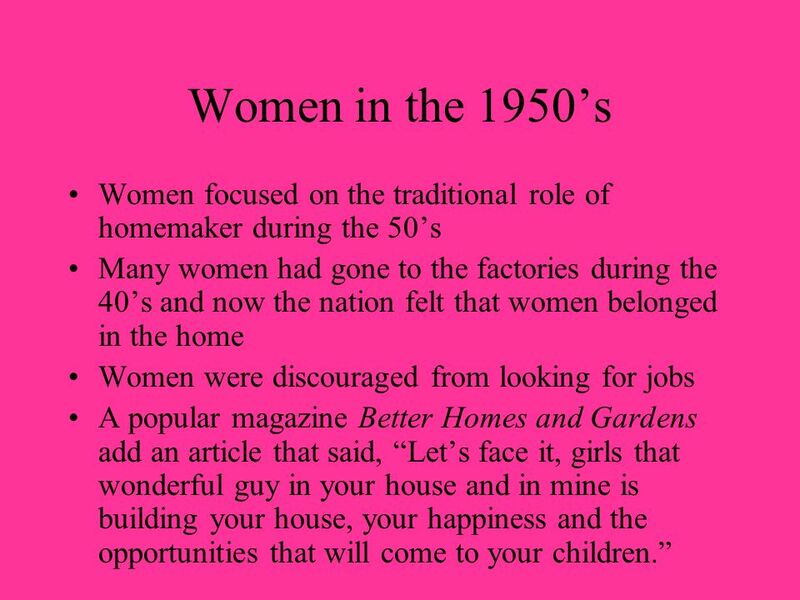 9 Women The magazine and society in general pushed women to stay home, have many babies and to have a lot of friends Despite these facts, many women continued on their journey towards a career, often dealing with frowns from society as a result. By 1960, nearly 1/3rd of all married women were part of the workforce. In 1950 there were 40,174,705 employed males and 15,559,454 employed females. Mom was probably younger than today. People married younger in the 50s median age for a first marriage was 22.8 years old for men and 20.3 for women. In 2000 the median age at first marriage: Males: 26.8 Females: 25.1. Interestingly, however, teenage pregnancy was high in the 1950’s. It reached its peak in Why do you suppose this was? 10 Divorce Divorce was not a common thing. Why? Societal pressure for one thing. You were supposed to get married and stay married, regardless of how miserable you were. 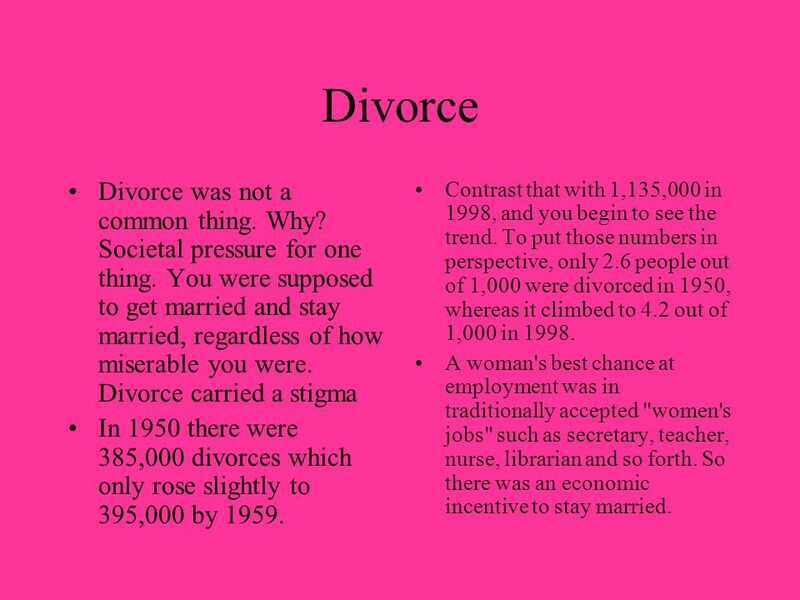 Divorce carried a stigma In 1950 there were 385,000 divorces which only rose slightly to 395,000 by 1959. Contrast that with 1,135,000 in 1998, and you begin to see the trend. To put those numbers in perspective, only 2.6 people out of 1,000 were divorced in 1950, whereas it climbed to 4.2 out of 1,000 in 1998. A woman's best chance at employment was in traditionally accepted "women's jobs" such as secretary, teacher, nurse, librarian and so forth. So there was an economic incentive to stay married. 12 Medicine Medical personnel started to really focus on finding antibiotics to fight infection. They also looked for new drugs to help arthritis, diabetes, cancer, and heart disease. There were also breakthroughs in surgery. All of this allowed the life expectancy rate to rise: Women 71.1, men 65.6 Polio was a huge problem in the 1950’s It was an epidemic in the United States, having even struck FDR restricting him to a wheelchair The disease struck different parts of the country each summer, crippling and killing many. No one knew what caused the disease so no one knew where it would strike: playgrounds and beaches were closed. 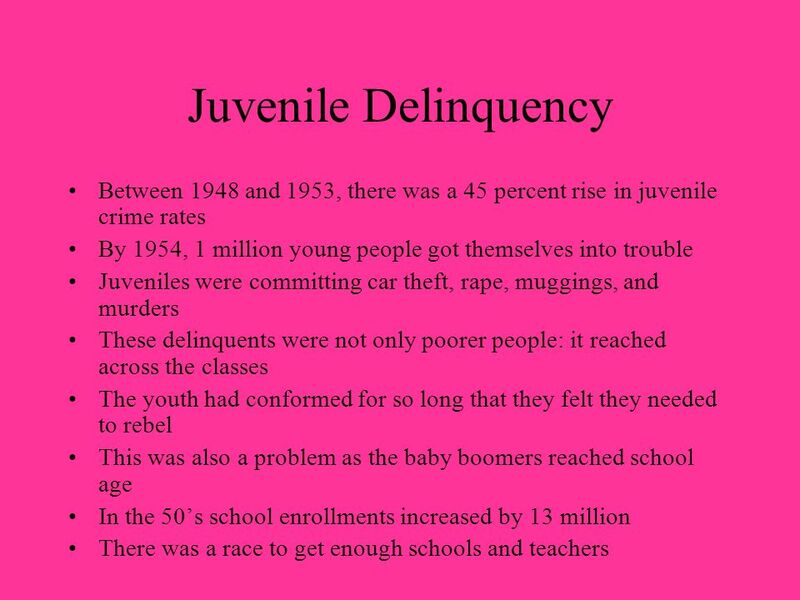 In 1952, 58,00 cases were reported. 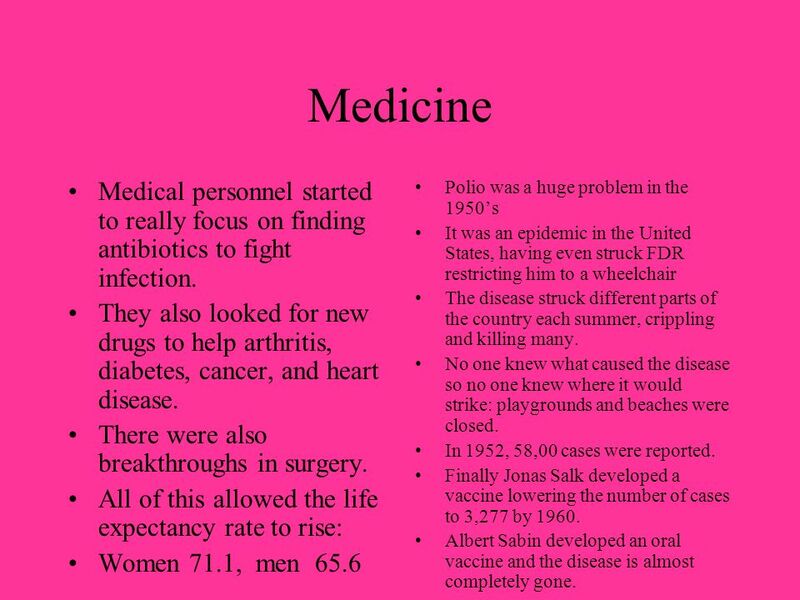 Finally Jonas Salk developed a vaccine lowering the number of cases to 3,277 by 1960. Albert Sabin developed an oral vaccine and the disease is almost completely gone. 13 Air and Space The Soviet Union developed the first space shuttle called Sputnik in 1957. 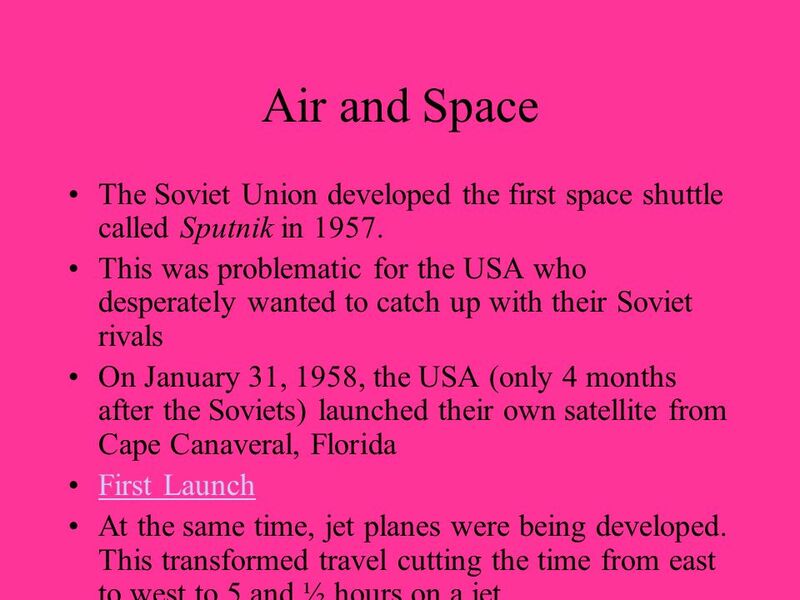 This was problematic for the USA who desperately wanted to catch up with their Soviet rivals On January 31, 1958, the USA (only 4 months after the Soviets) launched their own satellite from Cape Canaveral, Florida First Launch At the same time, jet planes were being developed. This transformed travel cutting the time from east to west to 5 and ½ hours on a jet. 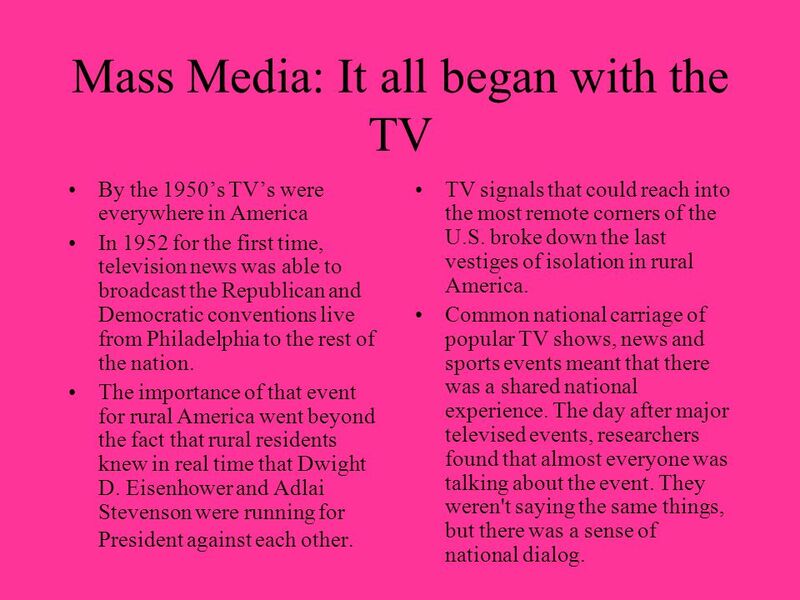 By the 1950’s TV’s were everywhere in America In 1952 for the first time, television news was able to broadcast the Republican and Democratic conventions live from Philadelphia to the rest of the nation. The importance of that event for rural America went beyond the fact that rural residents knew in real time that Dwight D. Eisenhower and Adlai Stevenson were running for President against each other. TV signals that could reach into the most remote corners of the U.S. broke down the last vestiges of isolation in rural America. 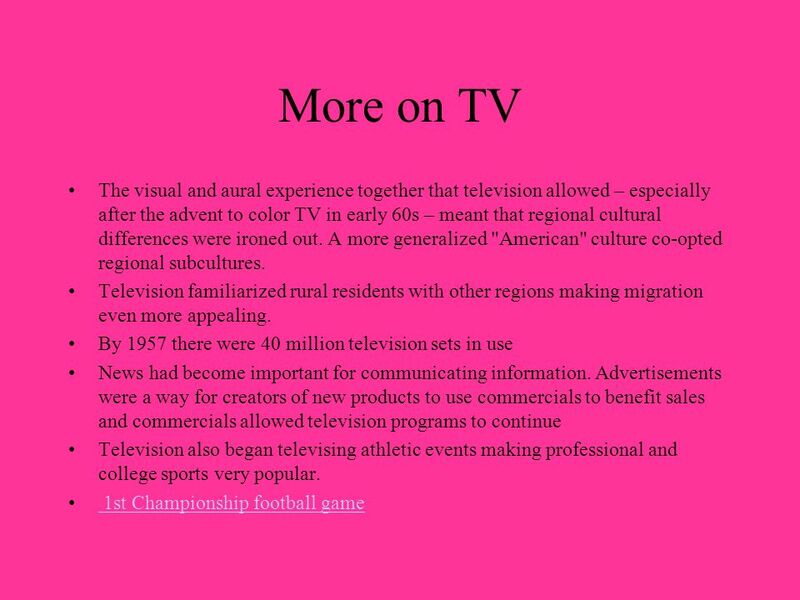 Common national carriage of popular TV shows, news and sports events meant that there was a shared national experience. The day after major televised events, researchers found that almost everyone was talking about the event. They weren't saying the same things, but there was a sense of national dialog. 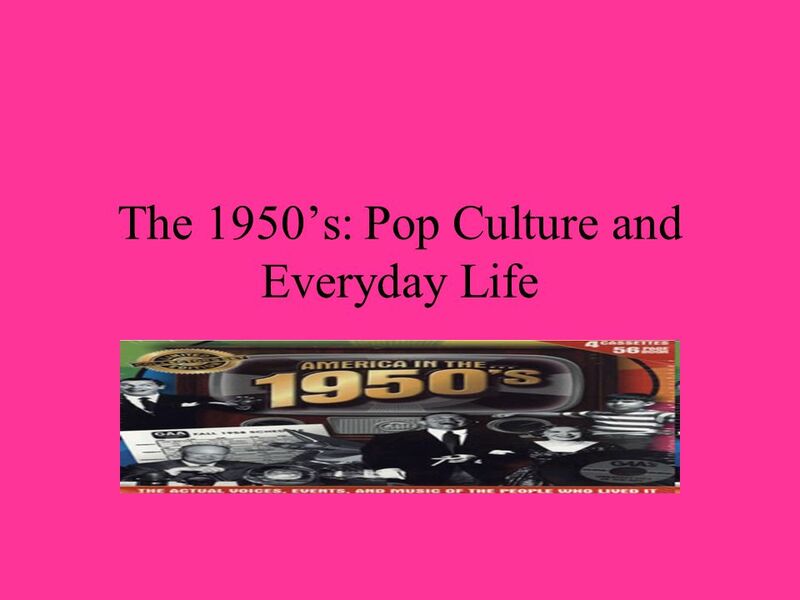 Download ppt "The 1950’s: Pop Culture and Everyday Life"
American Society in Post WWII 1950s – 1960s The 1950s A Time for Innocence The perfect life, the consumer life??? Conformity. CHAPTER 23 POST WAR ECONOMY. 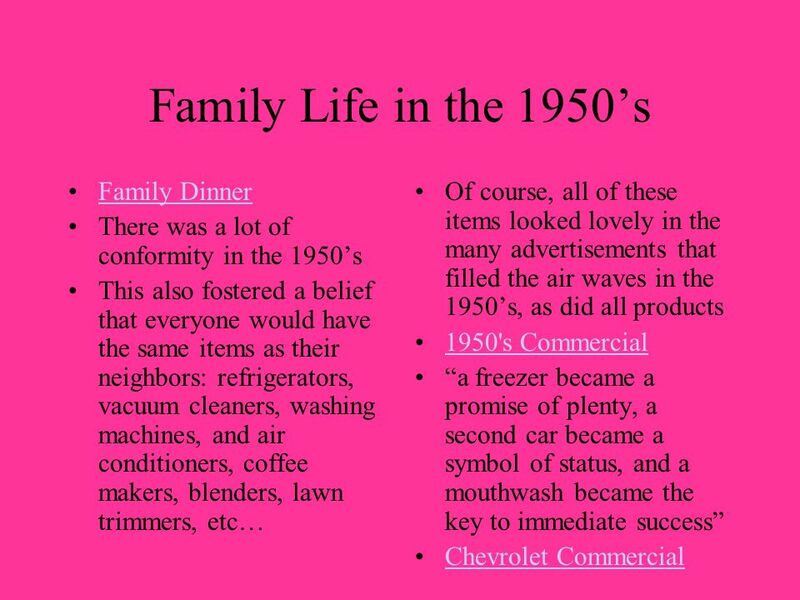 Essential Question What were the characteristics of the 1950s? 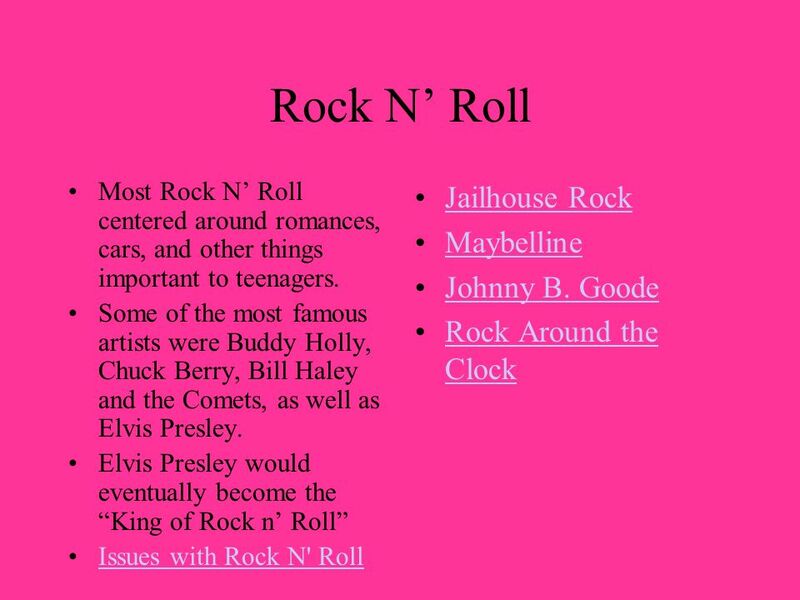 What were the characteristics of the 1950s? PresentationExpress. Click a subsection to advance to that particular section. 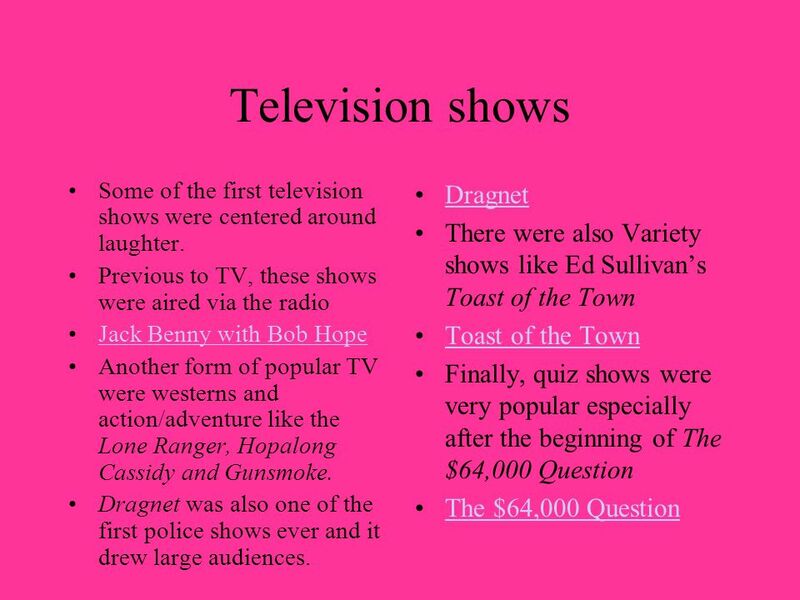 Advance through the slide show using your mouse or the space bar. An Economic. Objectives Identify the problems of the postwar economy. 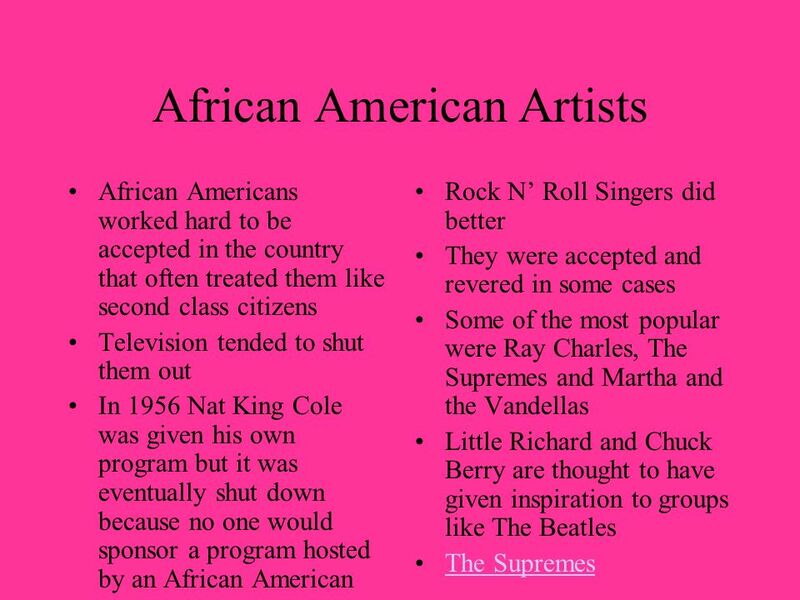 Chapter 20 Section 2 The Affluent Society. The Eisenhower Era In 1952 America chose Dwight D. Eisenhower, a Republican, to be president Eisenhower cut. 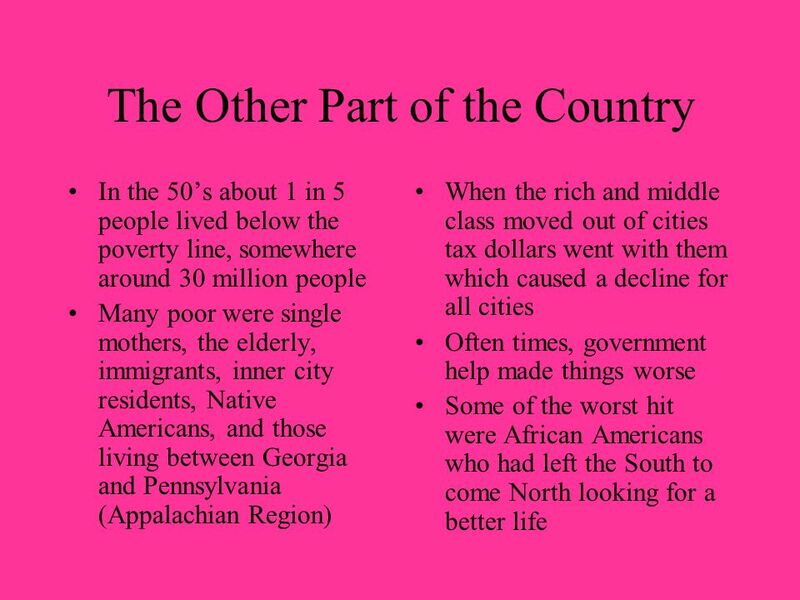 Post War United States into the 1960s The Affluent Society, Suburbia and the Baby Boom! 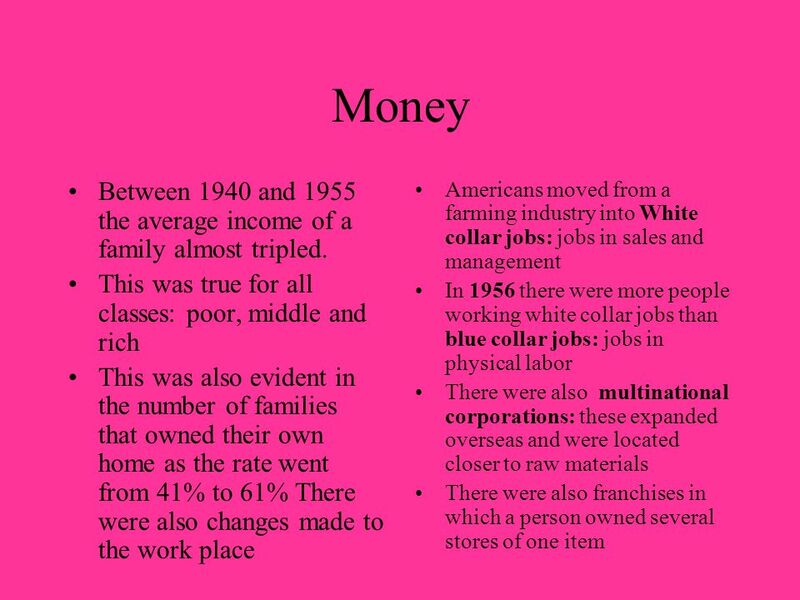 1950s - The Affluent Society! During the 1950s, the economy booms, and many Americans enjoy material comfort. 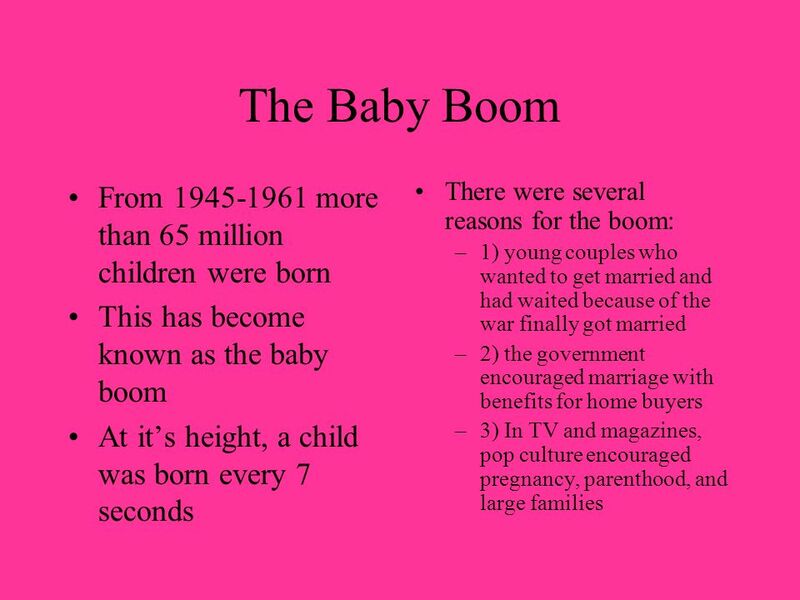 o Late 1940s through to the early 1960s o Became the largest generation in America’s history a baby was born every 7 seconds! Overview Economic Recovery Election of Eisenhower Growth of Suburbs Educational Opportunities Mass Culture Consumerism Post-war discontentment. The Dreaming ‘50s Judging the attitude of the picture, describe the social behavior of Americans? How is this different from the 1920s? 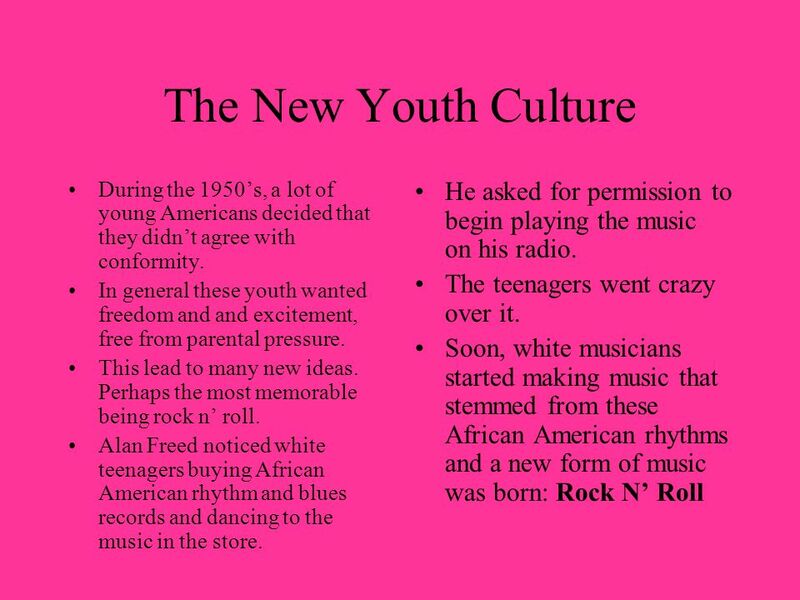 Life in the 1950s Chapter 23. LIFE IN THE 1950’S. Presidential Programs GI Bill Helped Veterans establish businesses, build homes, and go to college Closed Shop Taft-Hartley Act Forced. CHAPTER 22, SECTION 2 THE AFFLUENT SOCIETY. DID YOU KNOW! 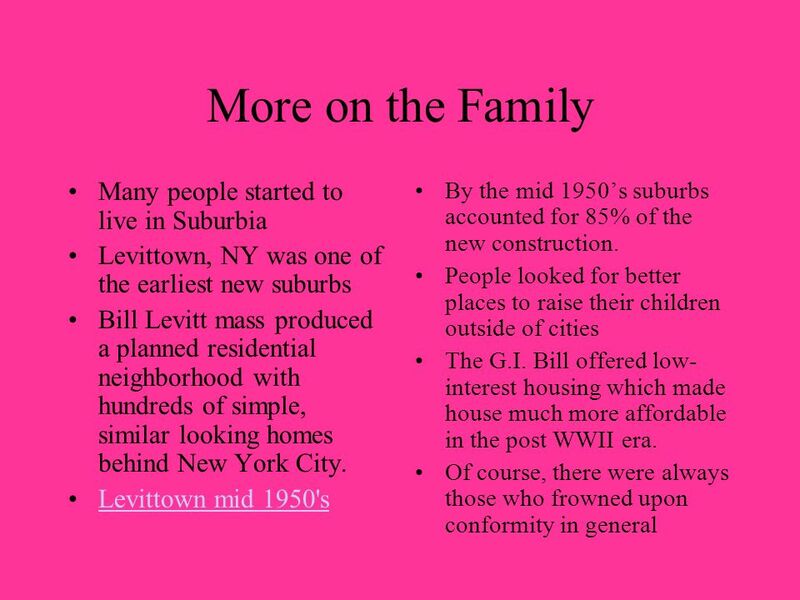 DURING THE 1950’S SUBURBAN NEIGHBORHOODS WERE USUALLY FILLED WITH PEOPLE WHO WERE ALIKE. THIS. American Life in the 1950s. America after WWII Politically Americans were focused on the Cold War and preventing the spread of Communism. However, life.